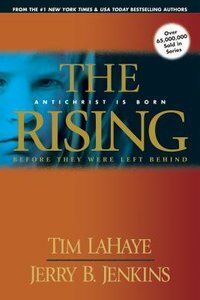 About "The Rising (Prequel #01) (#00A in Left Behind Series)"
Customer Reviews For "The Rising (Prequel #01) (#00A in Left Behind Series)"
This is a nice sized book with a nice font and is a cracking adventure and good for heightening discernment around the enemy's sort of atmosphere, which Jerry B Jenkins and LaHaye have captured well. That's the biggest thing I got out of it, and it's one of the few of the Left Behind series that has stayed with me. Kingdom Come is also another great one in the series. I'd recommend it for those who are studying end times.